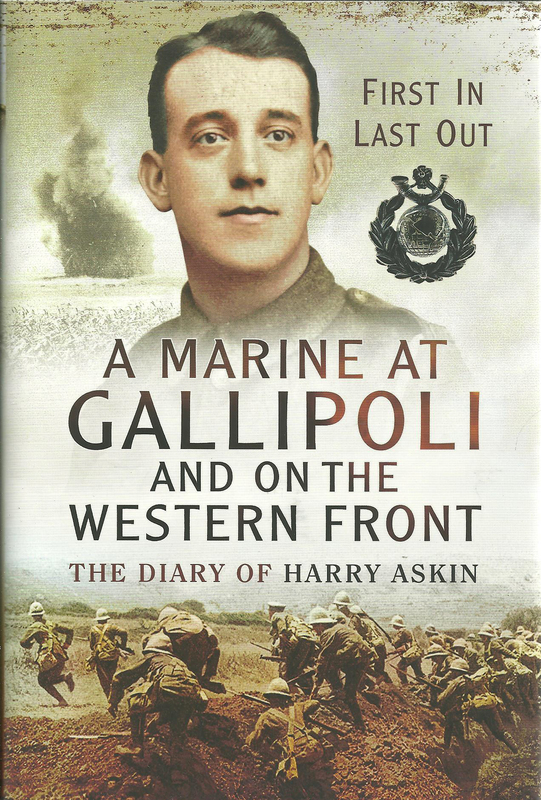 This book is drawn from the diary of Royal Marine serving during WWI. It contains all the range of emotions and paints a vivid picture of life under virtually continuous fire. For many readers, it will provide a very fresh collection of insights into how the Great War was fought. A graphic book that demands to be read. 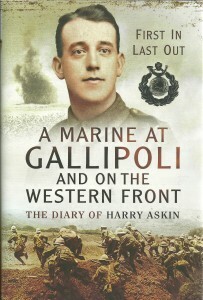 DESCRIPTION: This book is drawn from the diary of Royal Marine serving during WWI. It contains all the range of emotions and paints a vivid picture of life under virtually continuous fire. For many readers, it will provide a very fresh collection of insights into how the Great War was fought. A graphic book that demands to be read. The diary was maintained through a period of service that covered amphibious assault in a landing that was ill-fated and ill-conceived, and the terrors of life in the trenches of the Western Front. What may surprise readers is that a Royal Marine fought in the trenches along the Franco-Belgian border zone, although participation in an amphibious landing may raise no eyebrows. WWI continued the methods of recruitment into the British Armed Forces. Volunteers could chose which Service to enter and also which unit. For the most part, the volunteer’s choice was honoured, provided that the volunteer was able to meet the requirements of that Service/unit. However, the Royal Navy had more volunteers than it needed and the Royal Marines were also very popular choices. As a result, the RN formed the Royal Naval Division to fight in France alongside Army units and Marines were deployed as light infantry and artillery as required. The author not only ended up in two of the most costly areas of battle during WWI but he survived to tell his tell. So many died without any written record of their experiences and the surviving records are all the more valuable as a result. This is an account by a fighting man, so the text is graphic and the images bring a sharper focus. Commissioned in 1918, Harry again stepped forward on the outbreak of WWII. Too old to serve in the RM, he joined the Sheffield Home Guard and died in 1965. This book sets out another set of perspectives and makes a good companion for other books being released for the Great War Centenary that have either been previously published, or are newly written from diaries and other personal documents. Most share a common patriotism and duty in the face of great hardship, as this book does.